Jan Janas is an inspired teacher. Her own boundless creativity spills over into her unorthodox method of teaching. Her method relies on specific exercises that, step by step, develop new avenues of perception. 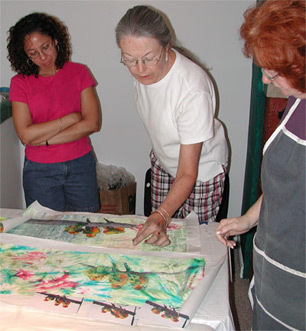 The workshops are valuable for everyone from beginners to professional artists by encouraging each person to reach and expand their own core of creativity.